Some entrepreneurs know a lot about running their company because they’ve done it before. Or, they’ve grown up with parents who owned a business. Or, they worked for an experienced entrepreneur CEO, or maybe they read the right books and took the right courses. However, that wasn’t my story when I started a PR and marketing company some 30 years ago. I was earning good money with a major corporation but left to start my business. So, I jumped into deep water and thrashed around. Didn’t drown, but didn’t set any records, either. What happened to me then is still not unusual in small- and medium-sized entrepreneurial companies. CEOs don’t know what they need to know to manage their business efficiently and effectively. 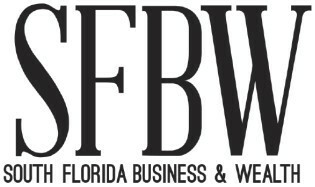 That’s why CEO Leadership Forums started three years ago in Orlando, and since 2018, it’s here in South Florida, too. Because CEOs are so busy, they don’t value time spent outside of their primary work; they don’t want to take courses or participate in CEO coaching. They also doubt that money for courses or coaching will pay off in scaling their business. CEO Leadership Forums were designed to fit into the life of this kind of person. Each one takes a half-day each quarter, and it’s free. Four-hour workshops are held at a public college, keeping costs to a minimum. Each Forum gathers 20 CEOs and 10 sponsors while the host college adds five top students who participate in four workshops during one year. At the end, each student receives a $2,000 scholarship for business study. Sponsorship money goes primarily for these scholarships. At Orlando’s Valencia College, where the forums began with a single group, there are now two with waiting lists for CEOs and sponsors. In South Florida, the forums started last year at Miami Dade College, in The Idea Center that focuses on developing entrepreneurship among students and throughout the community. 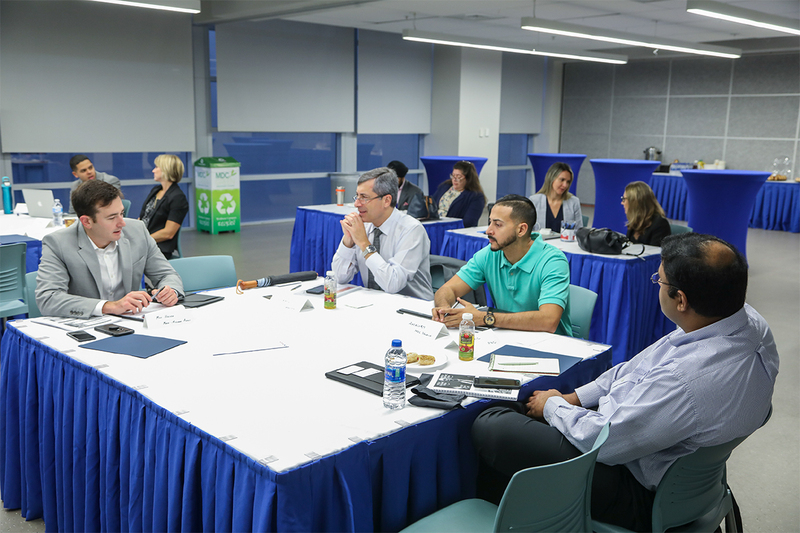 As the forums continue for the second year at Miami Dade College, another group began at Broward College in mid-February. This newest will partner with Hub, the college’s entrepreneur accelerator. Throughout the growing forums system, CEOs learn about working on their business, not in the business, by engaging with experts who present on subjects relevant to managing a company. Presentations are always interactive, drawing CEOs into the conversation and answering their questions. • At Broward College, Nyda Bittmann-Neville from TNB Consulting Group discussed “Creating Your Corporate Brand Concept.” Experienced in corporate and personal branding, Bittmann-Neville showed some well-known logos in unusual colors. Everyone recognized the importance of color in maintaining brand identify and picked up other branding tips. • “What Type of House Have You Built: Straw, Wood or Brick?” was the topic from AppleOne’s Lauren Hawkins and Shani Gerberg. They emphasized how to prepare for the next economic downturn and asked the CEOs to rate themselves on level of sustainability in a crisis. • At Miami Dade College, Eric Pinto from PricewaterhouseCoopers tackled “Working with the New Tax Regulations” in an extensive discussion of the changes affecting small- and medium-sized businesses. • In “The New Age of Imagination and Creativity,” Jody Johnson from Action Coach looked at management of employees who could comprise five generations. Keeping each group happy and productive is a major concern for today’s CEOs. CEOs and sponsors may join CEO Leadership Forums at Miami Dade College or Broward College any time this year. Email me at [email protected] for an invitation.